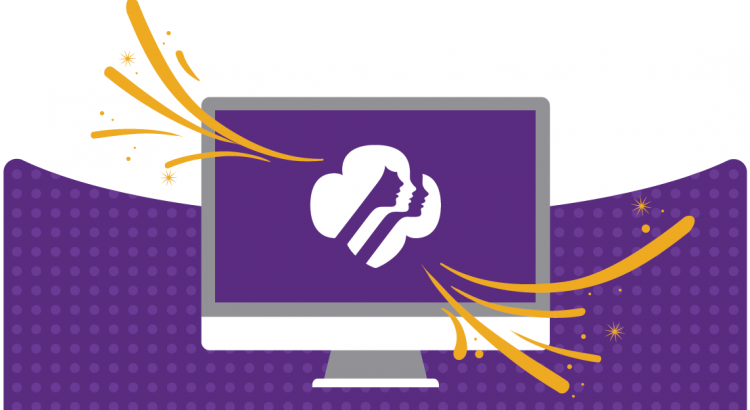 Girl Scouts and Computer Science – Coming April 29th! Last year, we hosted a group of 30 junior girl scouts from northeast Kansas at the department of Computer Science at Kansas State University. Some scouts traveled over three hours! During this short, three hour event, scouts learned the ins and outs of Scratch programming, learned about artificial intelligence, how computer science imitates the human brain by creating an artificial neural network in a CS unplugged activity, and received a guided tour of our home-grown super computing cluster, Beocat. This was by far one of the most excited group of young women that I have worked with in my years of doing CS outreach. By many requests, we are hosting another girl scout computer science day, here at Kansas State! This year, we are expanding the enrollment to include brownie, junior, and cadette level scouts, as well as changing the event up to last most of the day. Each level of scout will be grouped into one of our computer labs for a large array of activities including Scratch programming, CS unplugged, artificial intelligence, video games, and more! Scouts will also have the opportunity to tour Beocat. Throughout the day, we will have student volunteers from various clubs on campus to help scouts through the activities or answer any questions. Members from our ACM-W chapter will also be at the event to talk about women in computer science.